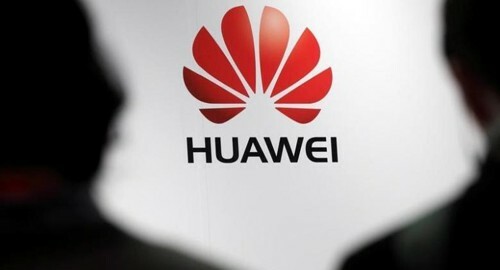 MUNICH- Huawei Technologies [HWT.UL] took the wraps of a new premium phone on Thursday, adding a new artificial intelligence feature it hopes will help it close the gap with Apple and market leader Samsung, which is reeling from scrapping its flagship phone. The Mate 9 is aimed squarely at the top end of the $400 billion global smartphone market, where professional users are looking for fast phones with long battery life. It includes a feature that enables the device to learn about the habits of its user and automatically put the most frequently used apps in easy reach – unlike, for example, Apple’s iPhone, where icons that may occupy many screens apart from the start screen have to be manually ordered. “It learns how you use your phone,” said Arne Herkelmann, Huawei’s European head of handset portfolio and planning. The launch comes just three weeks after Samsung scrapped its flagship Galaxy Note 7 smartphone, dealing a huge blow to its reputation and outlook. With smartphone sales growth expected to slow in the coming years, device manufacturers are focusing on new ways to stand out from the crowd. Alphabet’s Google last month launched the Pixel smartphone which has Google Assistant, the company’s voice-activated artificial intelligence (AI) system and its answer to Apple’s Siri and Amazon’s Alexa. In another AI push, Samsung said last month it would buy Viv, which is run by the co-creator of Apple’s Siri and said it wanted to integrate the platform in its Galaxy smartphones and expand its voice-assistant services to home appliances and wearable technology devices. The Mate 9, introduced in Munich, is a 5.9-inch (15 cm)large-screen handset that boasts cameras with autofocus, directional microphones with noise cancellation and an improved user interface. The algorithm puts the user’s favorite apps first, which makes the phones easier to use and also more energy-efficient. The phone’s battery lasts for almost two days of heavy usage and can fully recharge in 90 minutes, Huawei said.